For 50 years, we’ve been campaigning for human rights wherever justice, freedom and truth are denied. We’ve reshaped policies, challenged governments and taken corporations to task. In doing so, we’ve changed thousands of lives for the better. Join Amnesty at our new Secretariat office in Johannesburg and you will too. 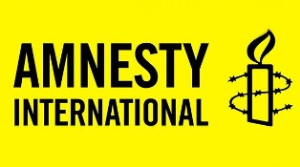 This is an exciting role where you’ll have a huge opportunity to make a difference – both to activism in Amnesty International (AI) and to young people across Africa. Coordinating the development and delivery of activism and youth strategies, plans and projects, you’ll inspire, empower and help mobilise a new generation of activists and ensure their active participation in a uniquely challenging human rights landscape. Part of that means running workshops to promote learning and grow campaigning skills. And we’ll also look to you to provide support and advice to our national teams and expertly grow their capacity and activist structures. Doing that well means analysing current trends and sharing advanced mobilisation techniques with the global movement. All while keeping in mind our overarching strategies and doing everything in your power to deliver high-quality, activism and youth-focused solutions. You’ll be an experienced campaigner who understands the strategy, methodologies and tactics behind making an impact. You’ll also have plenty of experience of activism and membership organisations – really knowing what it takes to mobilise people and adapt campaigns to audiences from different cultures and geographies. But in addition to being able to support others to develop skills to write inspirational, informative materials and use online and offline techniques to their best effect, you’ll have a particular focus on youth work. So you’ll know exactly how to mobilise and develop this vital resource and have experience of growing a vibrant and active youth constituency. This will be something you can do fluently in both French and English. Beyond that, you’ll also be confident planning and managing multiple projects and show fine judgement when it comes to delivering training and communicating in a multicultural setting. Please note, you must be fluent in both language in order to qualify to apply for this position. There will be a French and English language test for qualifying candidates. The mobile revolution. Geopolitical power shifts. A radically altered global economy. The world is changing, and so is the way that people fight for their rights. In order to be effective, Amnesty International’s (AI) International Secretariat needs to change how we work. That’s why we have opened a Regional Office for East Africa, the Horn and the Great Lakes Region in Kenya. And why we need your campaigning expertise with us on the ground. At Amnesty International, we are passionate about what we do and we are proud of our achievements as a movement. To compensate our employees for the wonderful work they do, we reward them through a combination of an attractive and sector competitive salary and benefits package, high levels of engagement and involvement, and a commitment to employee development. If you are talented, passionate about human rights and want to use your skills, knowledge and experience to change the world then we would encourage you to click ‘Apply for this Role’ below.